full::Electric vehicles are becoming more popular which creates a need for charging stations. Guerrera Electric are experts in the industry installing electric vehicle charging stations for homes. By the end of 2015 experts predict between 500K to 1 million electric vehicles and plug in hybrid electric vehicles to be on the road in the United States. 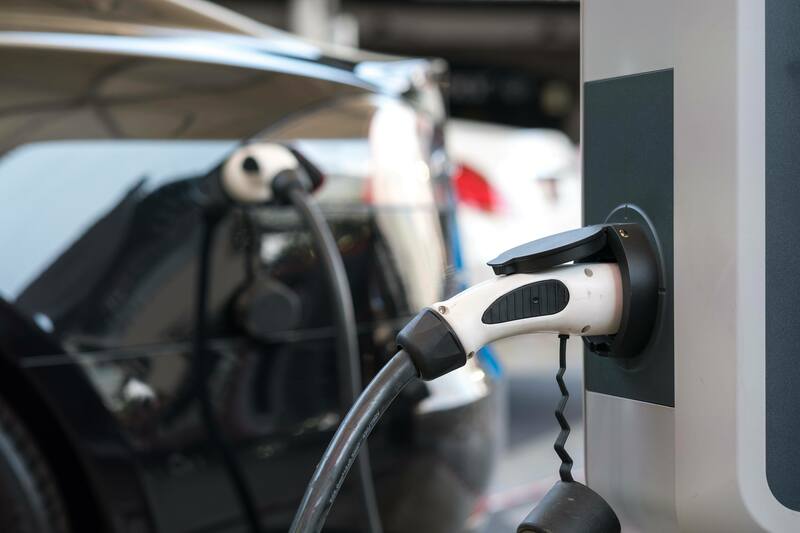 Guerrera and Sons Electric is ready to meet this demand with a staff that is nationally certified in the installation and repair of electric vehicle charging stations.We have the experience and knowledge to help you select the EV charging station that best suits your needs and budget. Level One: This is simple charger which plugs into a 120 VAC 20 amp outlet. It looks like a conventional AC outlet but with one blade turned 90 degrees. Level One chargers are limited to a maximum of 2 kW and take 10 to 20 hours to fully charge an all-electric car. This type of charger is typically delivered with the vehicle from the dealer or manufacturer. Level Two: This charging station plugs into a 240 VAC 40 A circuit and ranges in output from 6 to 12 kW. Level Two charging stations can fully charge an electric vehicle in 3 to 8 hours. Installed on a dedicated circuit, they feed power to the vehicle's built-in charger through an S AE J1772 plug that resembles the nozzle of a gas pump. Most residential and commercial charging stations currently available are Level Two. Level Three: This high powered charger that delivers 20 kW or more of 300+ VDC power directly to the EV battery. These chargers will require there-phase power and a larger commercial service panel. Level Three connectors are an option on the Nissan Leaf and other electric vehicles, but Level Three charging stations are not yet available. Level Three chargers are intended for commercial vehicle and fleet applications.